This product is an electronic die kit. 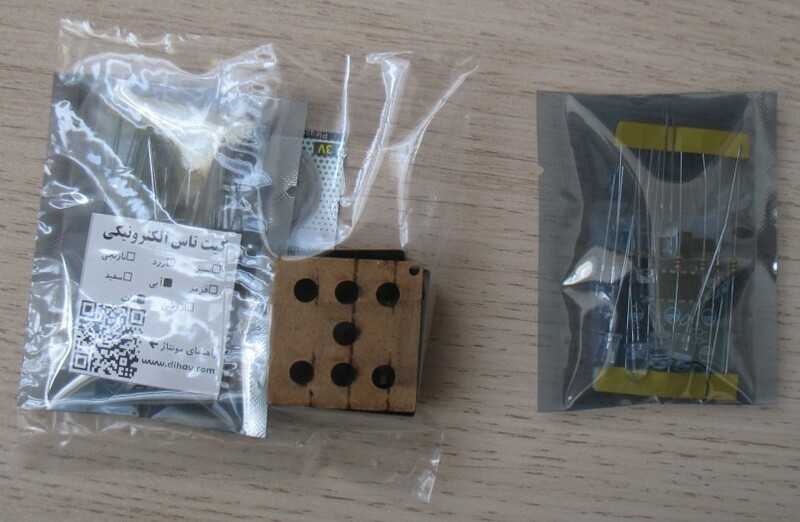 By assembling this kit, you will make your own electronic die. By tapping on the head of the die when it is on a flat surface (that causes the buttons on the back of the die to be pressed), it wakes up and shows a random number. 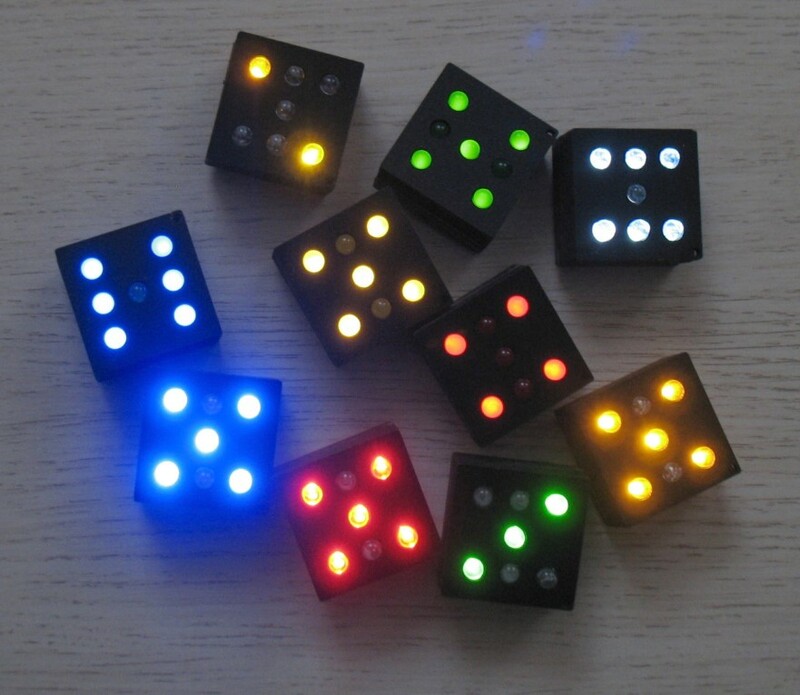 These kits are available in 6 colors (red, green, blue, yellow, orange, and white), the first four colors have two types of LEDs, mate or bright. The heart of each die is a PIC12C509A microprocessor, that generates real random numbers (not pseudo-random numbers). 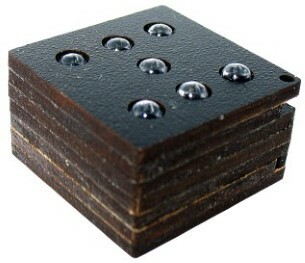 The die is powered by a 3V coin cell and goes to sleep mode after about 90 seconds of inactivity. The circuit has a protection diode that protects the PIC against inserting the battery in reverse polarity. The PCB is made of fiber-glass and has solder resist layer on the back side. The body is made of wood and cut by laser CNC machine. The program is made by MPLAB X IDE, the PCB is designed by Proteus, and body drawings are DXF files. If you want to buy this product design files, click one of the below links to add them to your shopping cart. After making the payment the files will be sent to your email address in 2 days.